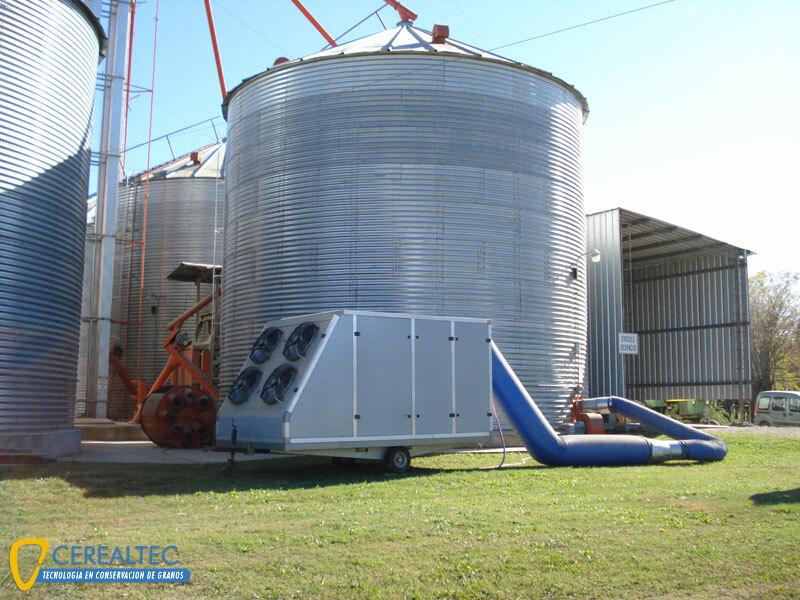 The Cerealtec grain refrigeration system is a mobile refrigerated equipment that captures the outside air and converts it into cold air at controlled temperatures and humidity. 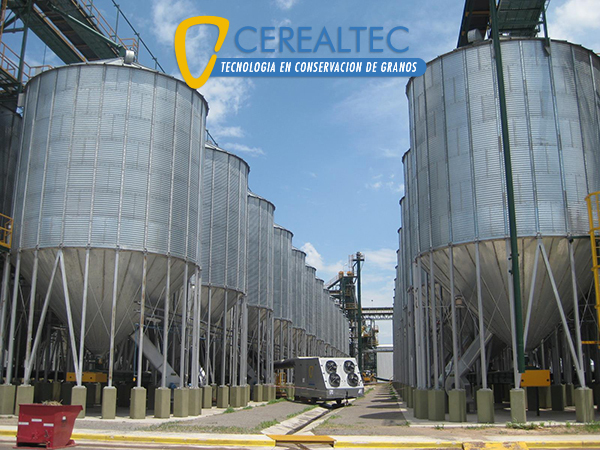 The equipment regulation is completely automatic and is provided by a computadorized system that records outside weather variables and regulates the air based on stablished humidity and temperature parameters. 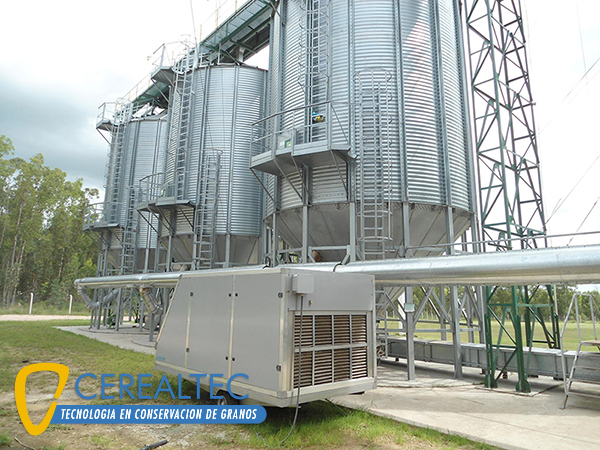 The equipment allows the temperature to decrease rapidly and steadily, regardless of weather conditions, inhibiting the proliferation of fungi, mycotoxins, aflatoxins and insects. With this novel technology, it is possible to dispense the use of insecticides, reduce loss of dry mass and sustain the germination of seeds. 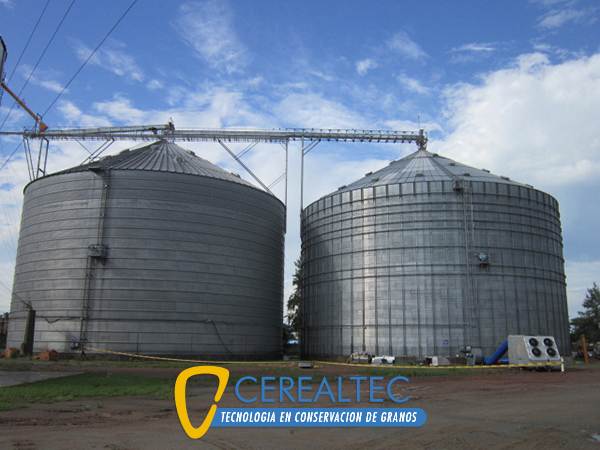 It is an essential tool for optimal preservation of all kinds of stored grains, corn, wheat, sunflower, barley, soybean, sorghun, rice, fodder and peanut; either in silos or warehouses. Average cooling efficiency of 600 to 700 Tons. / Day Temp. Initial 35 ° C Temp. 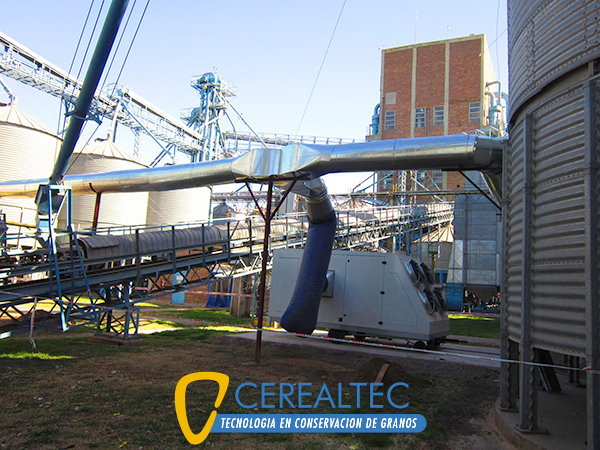 Final 12/14 º C.
Equilibrated Humidity corresponds to the cereal to be treated. Works in very unfavorable external conditions (35 ° C / 99% relative humidity). 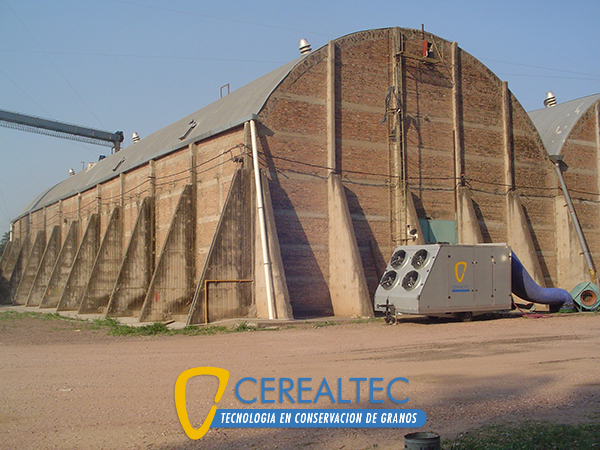 The cereals can be stored in warehouses with flat floor and Max of 10 meters high. 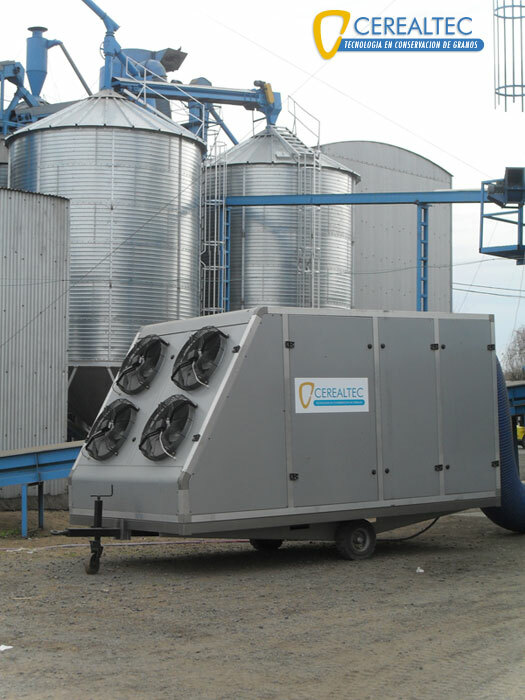 The equipment is placed on a lateral and it replaces the conventional aeration through a pipeline that distributes the conditioned air through the multiple aeration entries of previously existing fans. 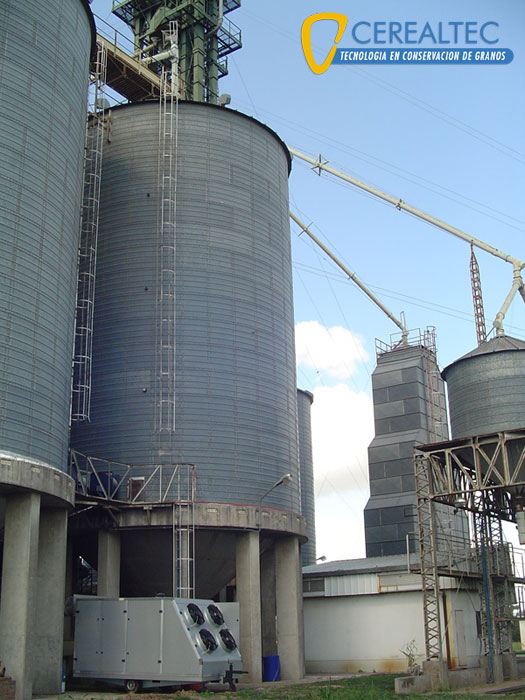 Treatment of grains / seeds in bags. Safe storage temperature and humidity range. It is desirable that the warehouses have good insulation. Treats the stored product in reduced and predictable times. Preserves the product quality for long periods of time. 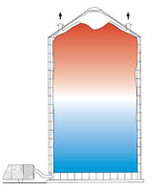 Reduces weight losses due to grain respiration. Prevents loss of strenght and germinative power of seeds. 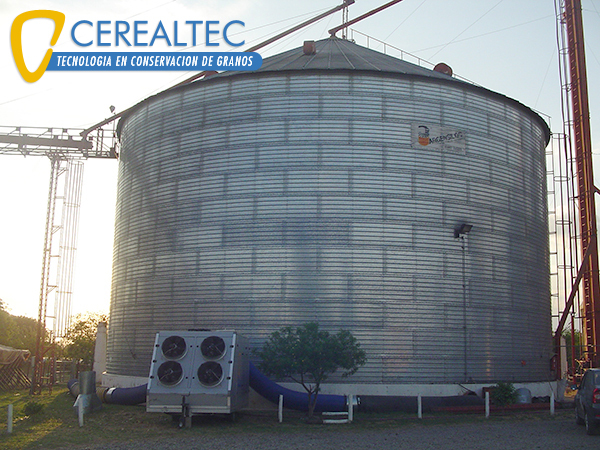 Eliminates the need to use insecticides or disinfectants to treat stored grain. 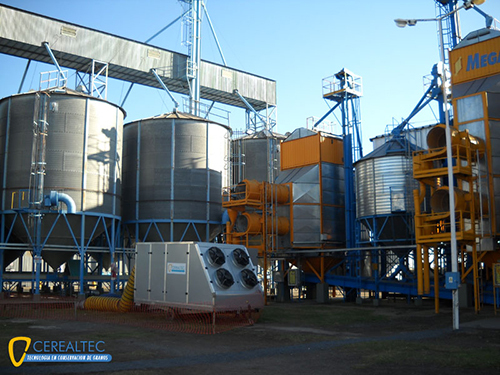 Reduces the production of undesirable contaminants such as mycotoxins. 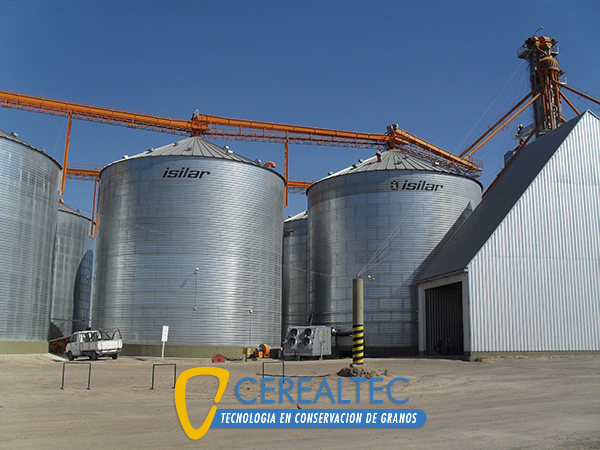 Reduces grains breaks since it is not necessary to transfer from a silo to another silo. Allows achievement to a differentiated quality standard of the final product for most demanding markets. 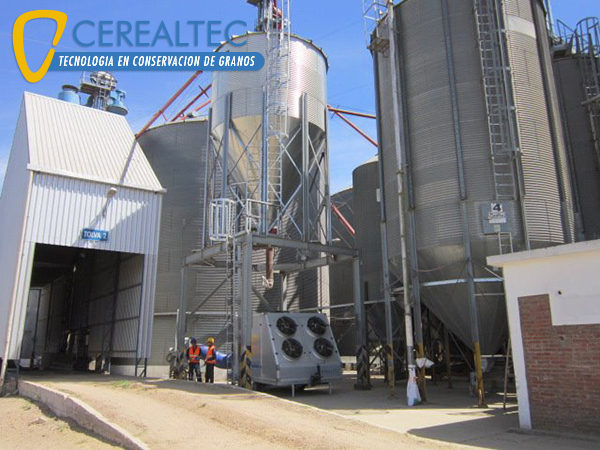 Avoids the dependence on climatic factors as the equipment works even under adverse conditions (rain, high humidity, high temperature). Homogenizes items with different relative humidities. Eliminates the risk of over drying as it is capable of reducing more tan two points of humidity during the cooling process. 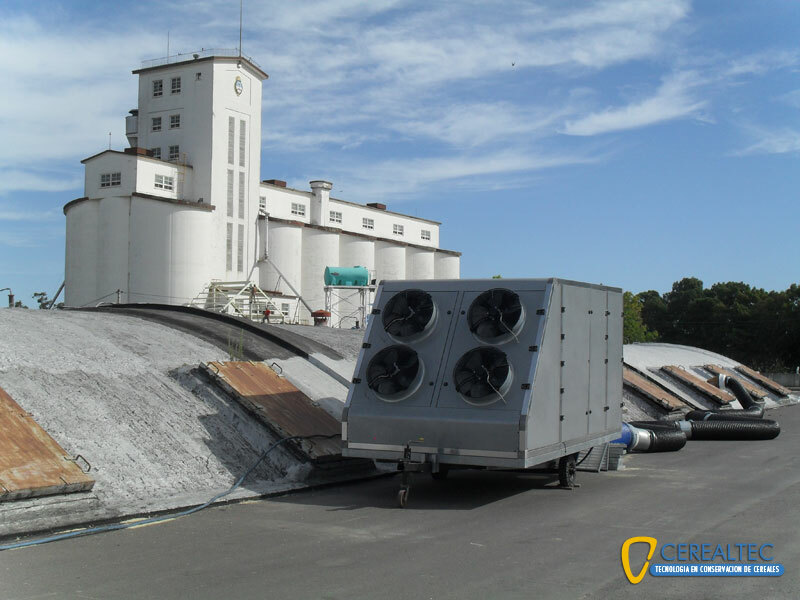 Allows higher humidity content in grains without risks.